Titus as Caesar, AD 69 to 79. Silver denarius. Size : 17.3 x 17.9 mm. Weight : 3.09 grams. Grade : VF, attractive old collection toning. 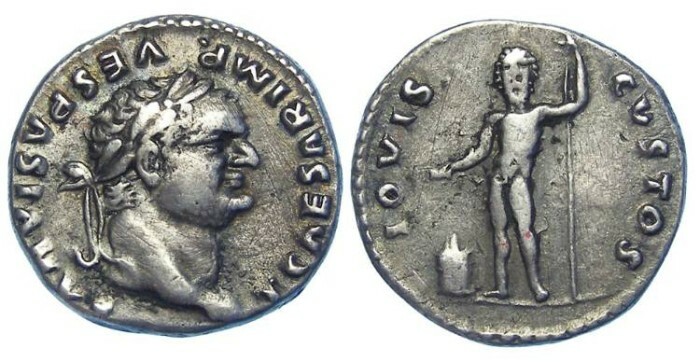 Reverse : Jupiter standing slightly left, holding a staff, with a small altar at his feet, with IOVIS CVSTOS around.